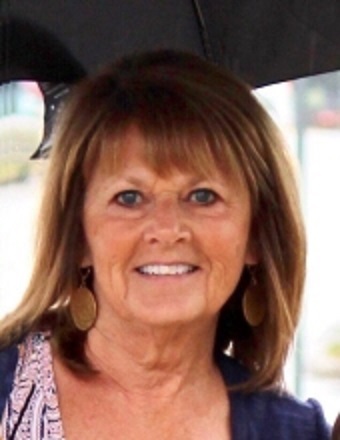 Janis 'Howie' Ray Herzog 68 of Clinton, Illinois passed away 5:05 PM August 19, 2018, at her family residence, Clinton, IL. Services will be 10 A.M. Tuesday, August 28, 2018, at the First Christian Church, Clinton, Il. with Greg Taylor officiating. Burial will follow at Oak Park Cemetery, Clinton, Il. Visitation will be 5 – 8 P.M. Monday, August 27, 2018, at the First Christian Church, Clinton, Il. Calvert Funeral Home, Clinton, IL is in charge of arrangements. Memorials may be directed to Neighborhood Care Center, First Christian Church, or the Little Galilee Christian Camp. Jan was born April 30, 1950, in Los Angeles, CA the daughter of William Dale and Frances Lorene (Harlin) Howell. She married David Lee Herzog December 3, 1971, in Arthur, IL. He passed away March 30, 2012. Survivors include her children, Chad David (Kelly) Herzog, Norwalk, CT; Andrea (Wesley) Graves, Clinton, IL; Lindsey (Chris) Moody, Clinton, IL; grandchildren: Dawson, Keaton and Tatiana Graves; Ryland, Kenley and Kade Herzog; McCoy and Emerson Moody; sister, Pamela (Gary) Willis, Story, WY. Jan was a member of the First Christian Church in Clinton, IL. She spent many years as a special education and elementary school teacher. Jan enjoyed golfing, playing bridge, biking, and traveling with great friends. Her number one hobby was loving on her grandchildren. Jan volunteered at the Neighborhood Care Center and had a passion for helping others in need. She was a devoted mother and super fun Nana. Her compassion touched many and she will be greatly missed.